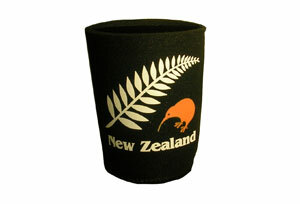 Stubby holder with New Zealand sliver fern logo. Keeps you beer cold but your hand warm. Perfect!